Carry the strength of a comic book superhero where ever you venture! 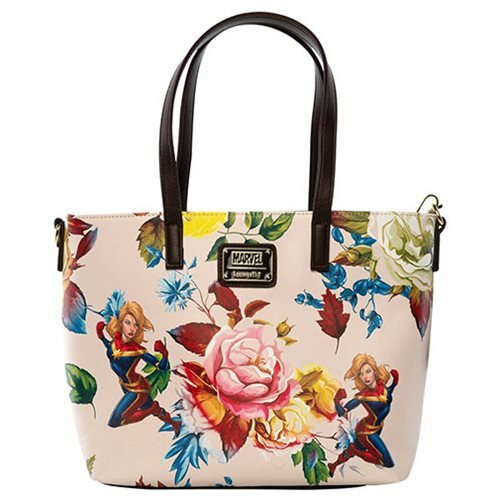 This Captain Marvel Floral Tote Purse is made of Saffiano faux leather with printed details and a metal charm. It measures approximately 14-inches x 10-inches x 6-inches and includes an adjustable strap.